MiniSat Basic is a small shelf speaker developed by Bernd Timmermanns. MiniSat Basic is available as 4 Ohm version or as 8 Ohm version. 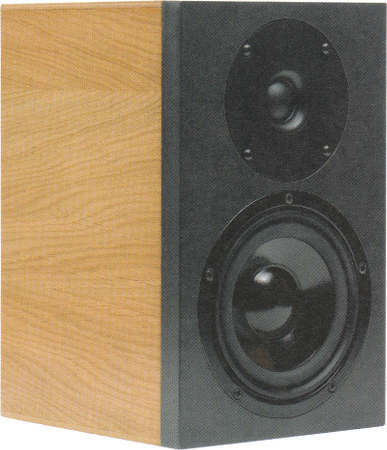 It contains a Visaton bass loudspeaker W130S (in 4 or 8 Ohm) and a Visaton dome tweeter SC10. The construction is quite simple: only 8 small rectangular cut boards are needed. The crossover consists of second-order filters. The frequency response is flat on 15 degree angle (horizontal deviation). The decay spectrum is without error. The non-linear distortions are less than 1% above 200 Hz at 90 dB SPL (1 m).